In their second announcement of the day, CARTO unveiled a set of enhancements to its software platform designed to make Location Intelligence solution development easier and faster. This means that CARTO customers and partners can rapidly build and deploy LI applications to address a wide variety of business challenges. Currently, CARTO’s Location Intelligence platform turns location data into better behavioral marketing, optimized delivery routes, strategic store placements and maximized assets. A recent survey shows that 84 percent of C-level respondents are planning to invest in location intelligence in the next three years. Yet, just 17 percent of analysts say their business performs spatial analysis on their location data today. CARTO today released a series of enhancements and new capabilities to help organizations build LI solutions that meet this demand and offers pre-built solutions to address common use cases. Read More: How is The Location Data Landscape Shaping Up in 2018? Vodafone Analytics, a telco data monetization solution that allows the telecommunications giant to turn their mobile network event data into spatial insight for B2B clients in verticals such as Retail, Tourism, Mobility and Outdoor Media. CARTO SalesQuest, a location-based sales analytics solution that applies spatial analysis and location data streams to sales CRM data to boost sales performance. Airship: A front-end library of components for designing Location Intelligence applications. Designers and developers can utilize the library to generate styles, interactive elements, typography, and many more design elements optimized specifically for location applications with minimal coding requirements. Developer Center: The authority for learning how to build, design, and deploy location intelligence applications. The Developer Center provides complete and accessible guides, pre-built apps, and documentation for all the APIs and SDKs needed when building apps. 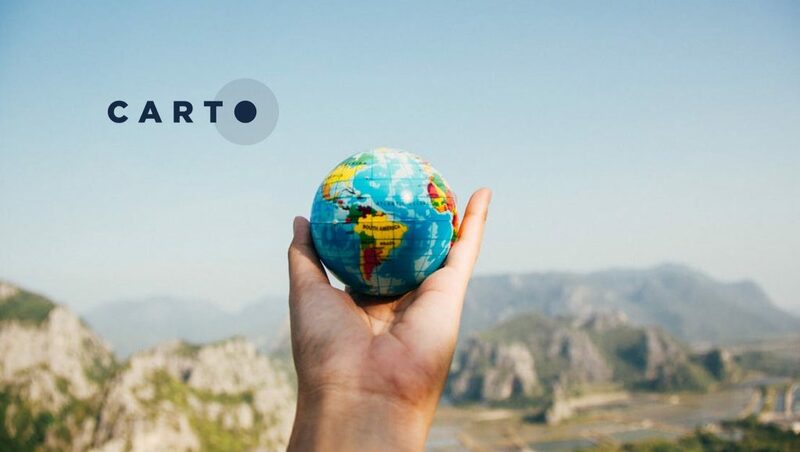 In another announcement, CARTO unveiled a new data strategy at the ongoing CARTO Locations conference. The new data strategy is anchored on derivative data streams, which optimize modern location data sources to help organizations to better harness the power of location intelligence across a variety of business challenges.